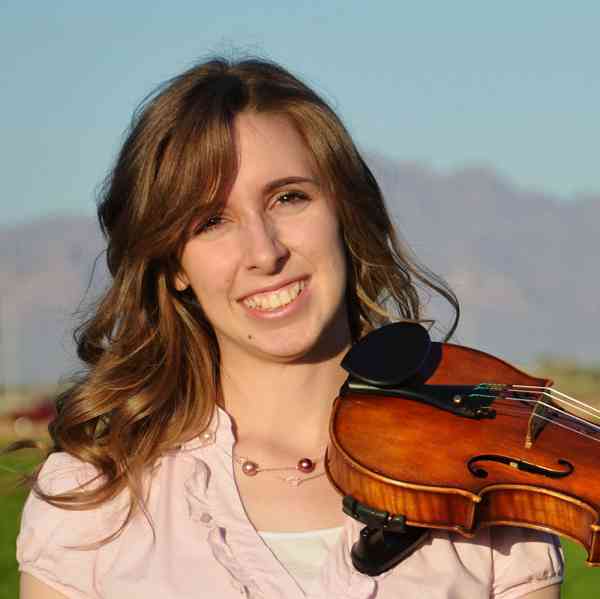 Katie Seigfried grew up in Mesa, Arizona, where she developed a love of music through dance, piano, and violin lessons. She started teaching violin lessons when she was 14 years old, and discovered that it was her passion, and decided to pursue music education as a career. She attended Northern Arizona University, where she received Bachelor’s Degrees in Music Education and Violin Performance. While at NAU, she served as concertmistress of the NAU Symphony and Chamber Orchestras, played with the Flagstaff Symphony Orchestra, and performed in various settings throughout Northern Arizona with the Wren Quartet. She also participated in the Suzuki long-term teacher training program, completing her registration for violin books 1-10, and Music Mind Games training, completing Units 1 & 2. Katie has been an active member of the Suzuki community since 2009, teaching in workshops, magnet programs, and private and group lessons. She has also worked in the public schools as a summer high school orchestra workshop instructor and an elementary orchestra teacher. Her mission as a music teacher is to provide her students with a well-rounded music education, an encouraging and safe environment wherewith to develop their skills, and positive musical experiences that will increase their confidence in their ability to learn. - Taught with the NAU Suzuki Academy, teaching private lessons, group classes, Music Mind Games, masterclasses, and workshops, and participating in numerous community events and recitals.